personality: Hikaru is, like the rest of his family, a tea lover. Unlike his cousins and siblings, he more outgoing, and tends to try to make a lot of friends, but kind and caring like his cousin. Uniquenes: Hikaru tends to fall asleep at random times, and like the rest of his family, loves the cold. Even at night, he would sometimes sleep walk. Hikari at times would dress himself in a white, long sleeve kimono, and walk around the school at night, or around the moon dorm. Biography: There were 3 children in the Shidousha family. Rei, Masashi, and Shinji. When the 3 were at the right age of marriage, Shinji decided that Masashi should marry Rei because he saw the feelings that the 2 shared with each other. After the 2 purebloods wed, Shinji was married to a Level B vampire named, Kasumi. Hikaru was the third child, after Kiyomi and Ichiro. For 15 years, the 3 were homeschool, then at age 17, Hikari decided to walk the path his uncle, who had died, went, and enrolled to cross academy to find a women of his choosing, and also visit his Level B cousin. When he enrolled, he was shocked and saddened that his cousin, is dead. Rp sample:Awww, theres no cute girls here. Hikaru stared at everyone in the classroom, disappointed. For 6 hours, he just stared at the teacher, and pretend that hes listening. After class was over, Hikaru walked straight back to his cold room, and dropped himself on his bed. Wonder if there any cute girls in the parties mom and dad gos to? Need to be more like my cousin. Heard he has a girlfriend when I read the letters he sends us. Yukio, I miss how you always telling me to be kind and gentle to a lady. He stared at a family picture of his parents, aunt and uncle, siblings, and his cousin when they were only 5.I feel sorry for how aunt Kasumi-san going through this. Not only that she lost her husband, but her only son as well. 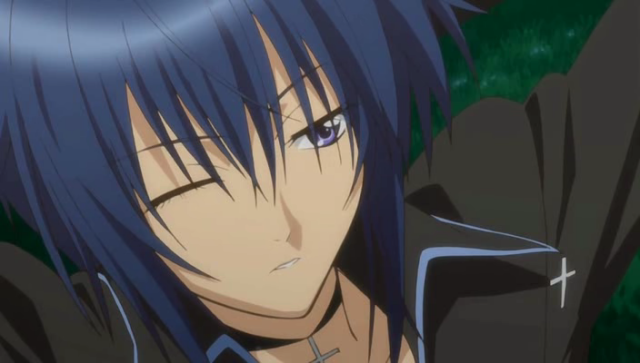 Ikuto?!!! And is this all nothing else? Only asking cause its well...short. If so then this is approved. Keep getting the same answer. Ikuto = many constellations. or however you spell it. and with Tsukiyomi (Ikuto's surname) it adds more to the whole night scene. Tsukiyomi is a night god...I think. I'll check on that later.